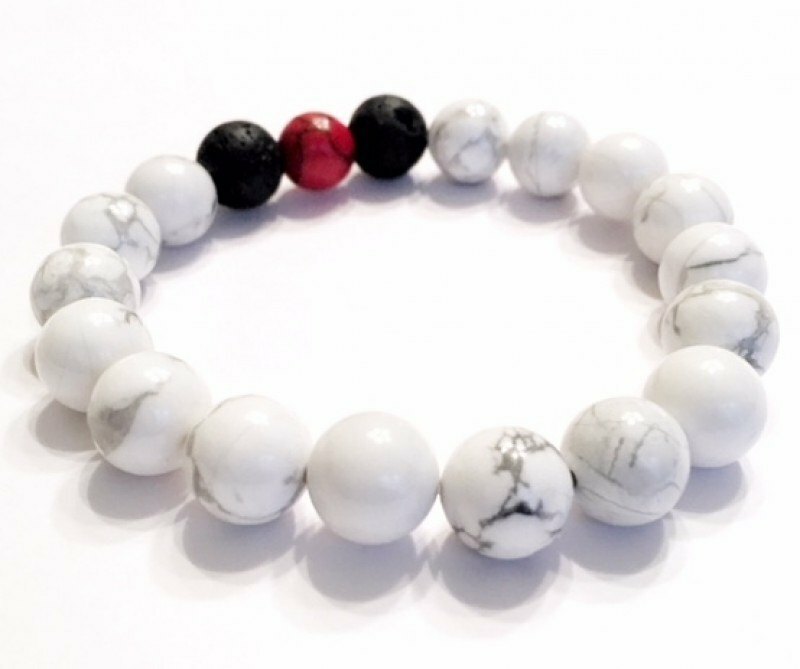 Exclusively designed for The Erika Legacy Foundation this rare stone diffuser bracelet was created with mental health in mind. 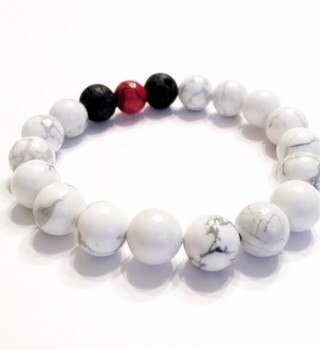 Hand beaded with genuine white semiprecious Howlite stones and lava stone. This bracelet is able to capture our hand crafted high-quality “Mental Clarity” essential oil. 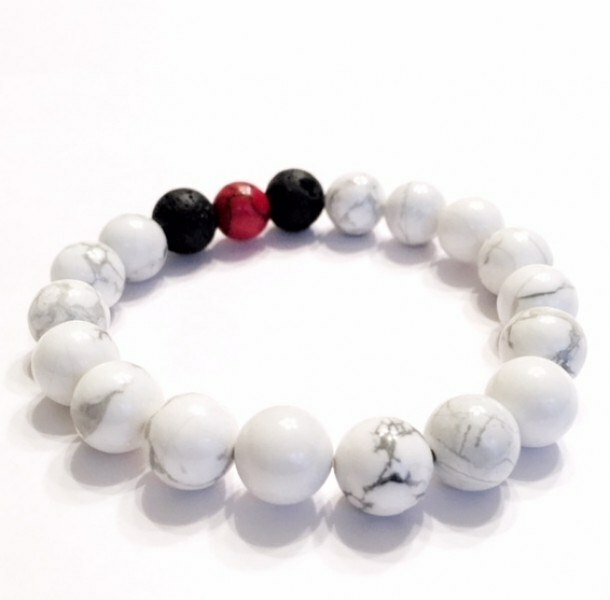 Howlite has been used to relieve anxiety, tension and intense emotions. Many believe it increases the awareness of one’s goal and ambitions, helping the wearer achieve them. Lava Stone is easily the oldest and most abundant stone in the world. Lava stone was once a solid rock that was heated so much it turned to liquid. For this reason alone it is believed to provide the strength, fire and power contained within it. Thought to be a stone of courage it was used to open the opportunity for stability throughout changes in their lives. Clean and classic this is a one size fits most for men and women.